There are many things to do when one travels to the Philippines for a cheap vacation. Some of the many things to do in the Philippines are: going to Manila and seeing the fabulous 5-7 story malls like The Mall of Asia; going to some of their beautiful beach tourist destinations like Boracay; or going to the chocolate hills in Bohol, Philippines. 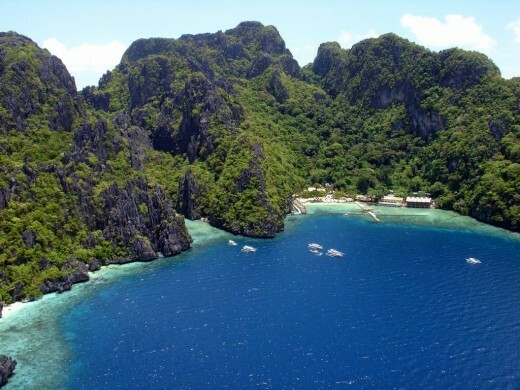 The Philippines is made up of 7,107 islands! It's one of the best cheap vacation destinations in the world! It's a place that everyone should try to travel one time in their life at least. It is one of the best Budget travel destinations in the world. In this article you will learn about my experience with the Philippines, about the best places to go and the best places I have been in the Philippines. I'm 31 years old and have been to the Philippines 7 times already. I plan to move their someday soon. The best way to get to the Philippines is by plane. 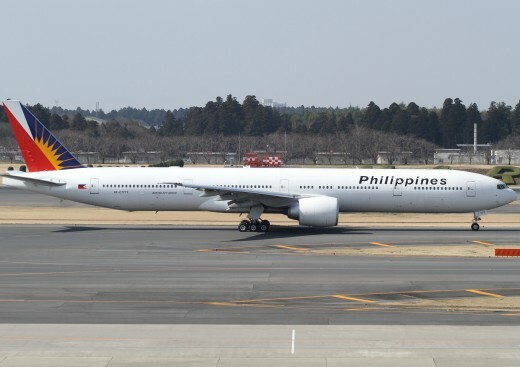 I have flown to the Philippines on China Airlines, Philippine Airlines, United Airlines and Delta Airlines. Each airline sends different types of planes to different cities. I once left on a Philippine airline flight from Las Vegas and had a small plane that had just a few TV screens to share. I took Philippine Airlines from Los Angeles to Manila and there was a TV in every headrest on the 767 jet. Out of every airline that I have flown on, China-Airlines is the best and then Philippine Airlines after that. The American airline companies didn't have TV's in every headrest, and that is something that I need for a 20 hour flight. The cheapest places that I have found plane tickets have been on the website for China-Airlines and also on Kayak. You can check these places out for the cheapest travel deals to the Southeast Asia. Once you are in the Philippines, the cheapest airplane tickets you can find are on the Cebu-Pacific Airlines website. That's for if you want to travel around the islands quickly. Nice place just 34 miles from Manila to cool off in it's high elevation. Nice place in the mountains to cool off. Is the Philippines a nice place to visit? What do you think of the Philippines? It's the best place in the world! The first place you will arrive is Manila. It is the capital of the Philippines and the biggest city in the Philippines, so most of the international flights come in there. The first place to see is Makati, which is another city in the Manila area that is considered Manila as well. It is the best place in the huge Manila area to stay in because of all the things to do in the city. 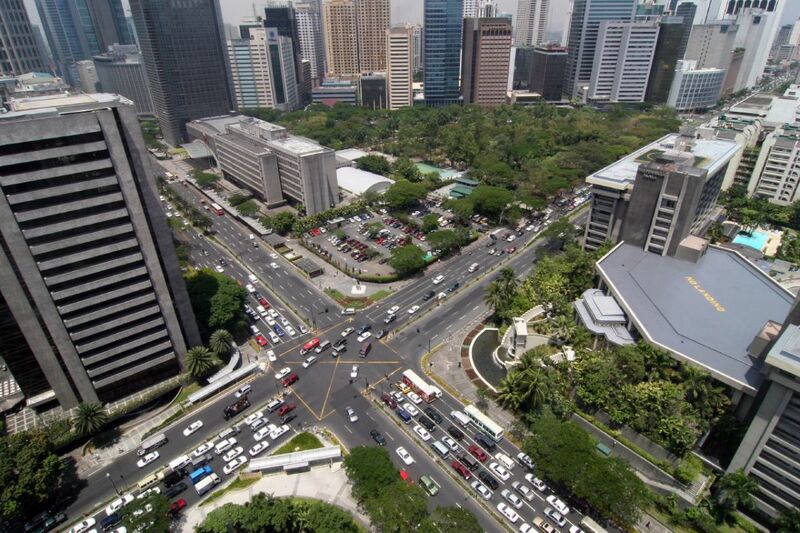 Makati is where all of the business is and where all of the tall building to see are located. Makati has a few famous malls. One of them is Glorietta. 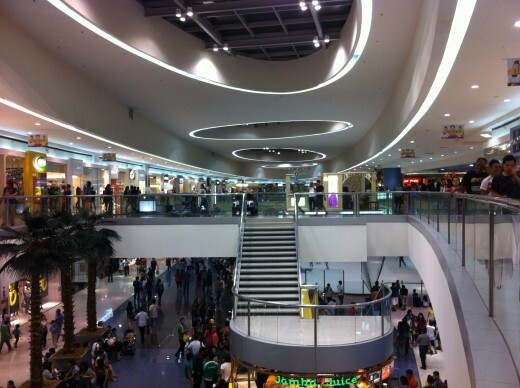 This mall is amazing, because it's actually 5 sections which are called Glorietta 1-5. Glorietta 5 is detached from 1-4, which means it's like a whole other mall. Glorietta is also connected to Greenbelt mall, which has a section that is outside where you can enjoy a nice walk with small gardens around you. The Mall of Asia is located in Manila as well, and it is the biggest mall in Asia! This is a great place to visit while in the Philippines. Another place to see in Manila is Bay Walk. It's a boardwalk right along the ocean that has many restaurants in the area. If you travel by taxi to Alabang, there is an awesome 5-star restaurant on the roof of a 30 floor hotel called Vivere. This is my favorite place to eat in the whole world. I love Vivere. It has a spectacular view of Manila from a distance and you're on the roof of a 30 floor building dining at a fancy restaurant outside and overlooking the city. Pickpockets, Walking at night, Make sure Taxi drivers use meter! There are many places to travel to that are not far from Manila. There is a beautiful clear water white sand beach a few hours from Manila called White Beach in Puerto Galera. There is also a beautiful place in the mountains north a few hours from Manila that is a lot cooler than the rest of the Philippines, and it's called Baguio. There is also a place called Tagaytay that is much cooler as well, because it is at a high altitude. Tagaytay is also just a few hours away from Manila and a great place for couples. To get to Puerto Galera you will first need to take a private car/van or a bus from Edsa to the Batangas port. It will take a couple hours to get there. From the port you need to take a ferry for about an hour and half ride to Puerto Galera. This is a very relaxing ferry ride with a magnificent view of the scattered Philippine islands. The greenery is amazing and the ocean breeze is incredible. After you arrive on the island you will have to take a tricycle or Jeepney to white beach, which is the best beach there. It has a beautiful view of palm trees, crystal clear waters, white sand and beautiful green mountains all around. There are many hotels to stay in for cheap there. There is no need to make a reservation. Someone will help you to find the best hotel for you. If you are with someone then you want to head north on the beach pass some rocks to reach another beautiful and more secluded beach for couples in about 5-10 minutes of walking. 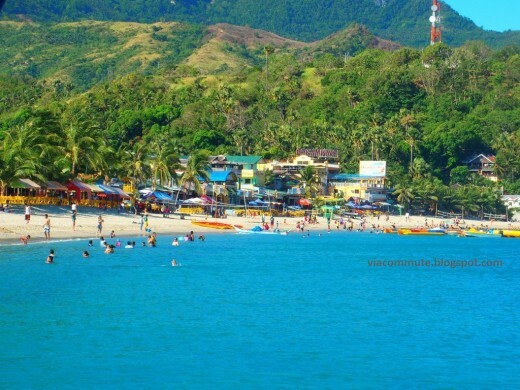 Puerto Galera is a must see place for a budget travel. There are also 4 and 5 star hotels there as well if you are interested. Baguio is a great place for a cheap vacation and to get away from the extreme heat of Manila, so you can cool off. Baguio is located in the mountains a few hours bus ride from Manila. There are some amazing resorts there. People go to Baguio to cool off and to see the beautiful nature all around them. Because the climate is much different than other parts of the Philippines, it has very unique natural sights to see. Tagaytay is another place to cool off from the excessive heat of Manila. It's a popular place for couples to go too. 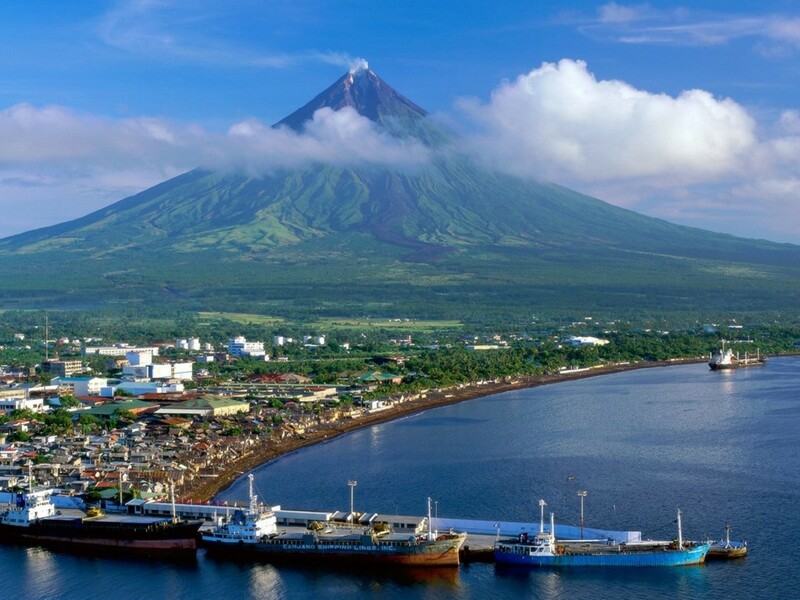 It's one of the most popular places to see in the Philippines, because the beautiful scenery and the cool weather. Tagaytay has a beautiful view of Taal Lake and the volcano island in the middle of the lake. 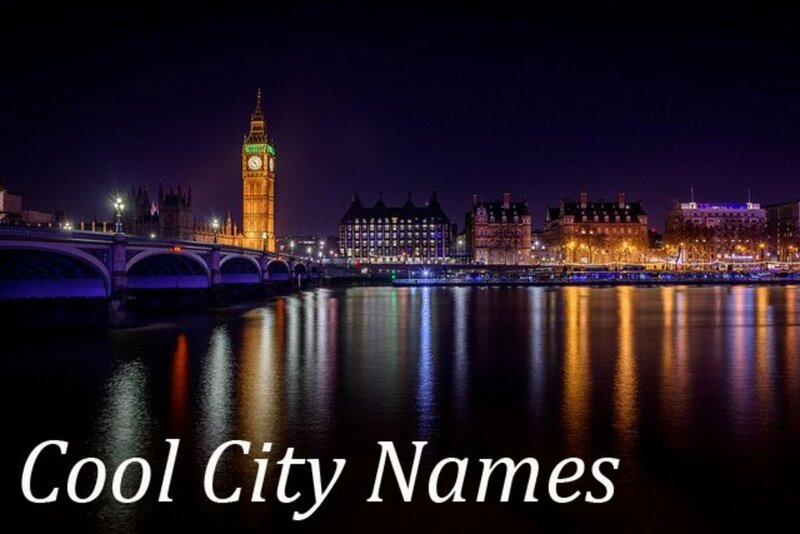 This is another great place to visit for a budget travel. White Beach in Boracay, Philippines is the longest white beach in Asia. It's 4km or 2.5 miles long! The best beach that I have ever been to is White beach in Boracay, Philippines. It's a beautiful island wonder that's great for budget travel in Asia. It's a very small island, 3,985 sq. miles (10.32 square km). One way to get there is to fly a 45 minute flight from Manila to Caticlan and then a 5-10 minute boat ride to the back of the island and then just a 15 minute tricycle ride to the beach. It sounds like a lot but it's not and it will go by so fast looking at all of the amazingly beautiful scenery. 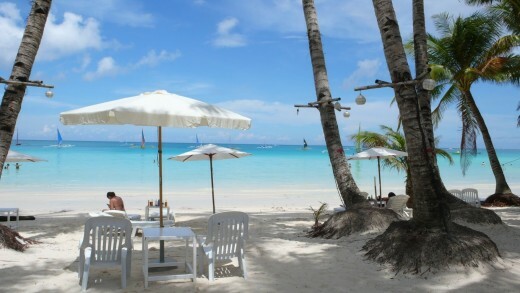 Boracay was voted as the best beach in the world in 2012 by Travel+ Leisure magazine. This is one of the very best beaches in the world and a great place for a cheap vacation destination in Asia. You can find hotels right on the beach for as low as 1500PHP($35 or so at the time of this article) per night and a 2 minute walk from the beach as low as 750PHP($17.50 or so) per night with air condition. It's cheaper if you don't get air condition. White Beach in Boracay truly has the whitest sand I have ever seen. It's so clean and beautiful. The water is crystal clear with very tiny waves. It's like your swimming in a pool, but with occasional tiny fish swimming around you. The high salt level in the water makes it easy for you to float, so that's fun too. There are so many activities in Boracay. You can go on the Banana Boat; or go scuba diving or snorkeling; rent an ATV to drive around the island; walk around this amazing island; go on a glass boat bottom boat ride; go hang gliding; ride a jet ski; and many others things you can do. You can also walk to the opposite side of the island in about 15 minutes, and watch many water sports going on there. 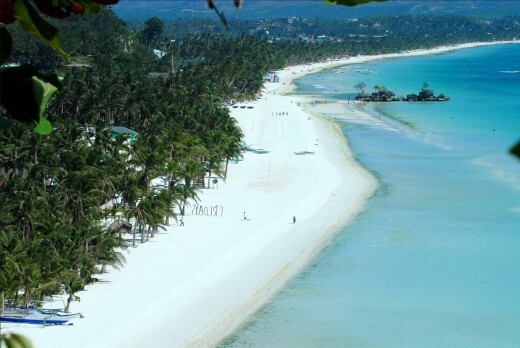 If you go to the Philippines then you must see Boracay! Bohol is one of the most popular Asia travel destinations. Bohol is located in Central Visaya, and you can take a ferry ride or an airplane to get there. Well, some people take the bus too, which goes onto its own ferry to travel from island to island. If you don’t get motion sick easily and have patience then this is a great way to go, because you get to see so many parts of the Philippines on your way. Bohol is located east of Cebu(2 hours by ferry). It has some beautiful beaches and resorts. 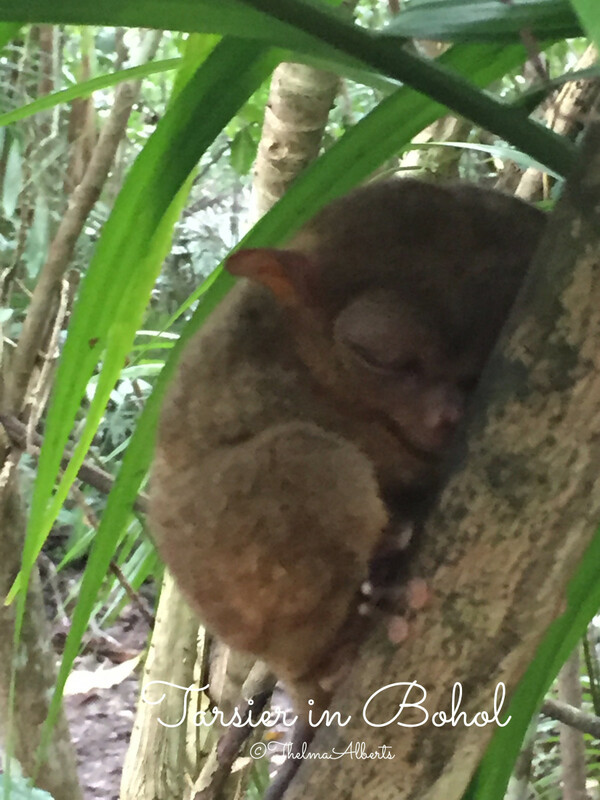 It's home of the tarsier, which is the smallest primate in the world. They are only 85-160 mm in size! Bohol is also home of the famous Chocolate Hills. The Chocolate Hills are actually many formations of limestone. These are really an amazing site to see, and one of the most popular to see in Philippine travel. 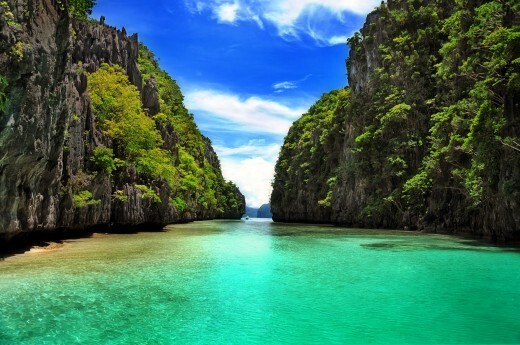 Palawan is located all the way on the west of the Philippine islands. It's main island is a very long narrow strip of land going from south to north. Some people say Palawan is the best place to go for beaches, while others say that Boracay is the best. Palawan is cool because if you like to ride motorcycles then you will love riding it around the whole island along the coast! Palwan is also home of the longest underground river in the world. Although I did hear that they have discovered an even longer underground river in Mexico now. Not sure if that's true, but this underground river in the capital of Palawan, Puerto Princessa, is truly an amazing site with its amazing blue-green water. Puerto Princessa Subteranean National Park river goes through a cave that's 8.2km in length. El Nido is the main beach to visit in Palawan, and it's sort of like Maldives with it;s many small island with different resorts on each island. It has crystal clear water and white sandy beaches. There are also many water activities in the area including island hopping. Another popular beach attraction is in Coron or Busuanga. It has the same beautiful beaches as El Nido, but it is also one of the best places to dive in Asia. There are old sunken Japanese ships from WWII. Now that's what I like to see when I go scuba diving! There are so many places to see in the Philippines, and they're all very affordable. Some other places in the Philippines include: Cebu; Davao; Bacolod; Ilocos; hundred islands in Pangasinan and more! Whether you are looking for night life, an exciting time in a city or a relaxing beach resort, you can find it in the Philippines and for cheap! This country has some of the most beautiful scenery in the world, and it's a very cheap vacation destination. Follow me on HubPages(click my name in the upper right side of the page & then the follow button) and share this article with your friends on the right side of this page. Here you can find a review of the best Myrtle Beach Hotels & some cheap hotels in Myrtle Beach that can save you money! You will also learn the things to do in Myrtle Beach near these hotels! 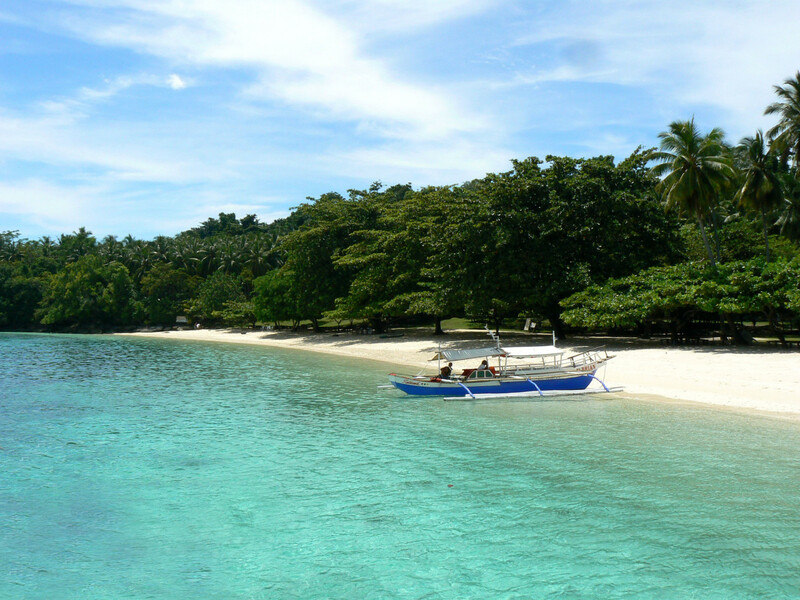 The Philippines are considered budget travel & it has some of the most beautiful beaches in the world! Philippines can be a cheap vacation & there are many exciting things to do there! Here are the best ways to find cheap airline tickets for cheap flights around the world & what airlines have cheap tickets compared to the rest.There are only a few places to find cheap plane tickets. Great article about things to do in the Philippines. I'm from the Philippines and these are some of the top places in the Philippines. Everyone should plan a vacation to the Philippines. It's very affordable and has some very beautiful places to see.